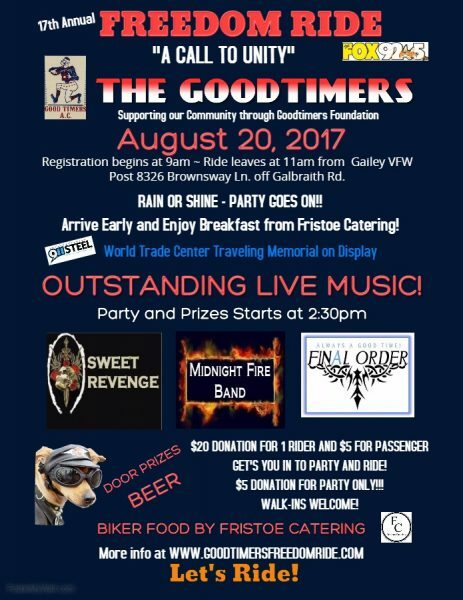 The Goodtimers Freedom Ride was born out of the September 11, 2001 terrorist attack on our country. It was a real awakening for all Americans. We soon realized that our true heroes don’t hit home runs or throw touchdown passes. We found a new appreciation for the public servant; specifically our Police, Firefighters and EMS personnel. As did many Americans we asked ourselves, “What can we do”? In response we decided to organize a motorcycle rally to raise funds for the benefit of the Police and Firefighters of New York City. Thus was born FREEDOM RIDE “A Call to Unity”. Along with Clear Channel Commnications, WEBN and a lot of help from Goodtimers family and friends we managed to bring together nearly 1000 motorcyclists for the rally and over 1200 people for the post ride concert. The event raised more than $35,000, which we donated to the Clear Channel Relief Fund. As a result of our success and the feeling that patriotism and philanthropy are not just “one time” things, we decided to make FREEDOM RIDE an annual event, distributing each years proceeds to our local law enforcement agencies and community charities. To-date, the Freedom Ride and “Big Hearts” events have raised and distributed over $316,000 back into our community. Through the years our beneficiaries have included; The Children’s Heart Association, Cincinnati F.O.P. Police Memorial Fund, Hamilton County Sheriff’s D.A.R.E. 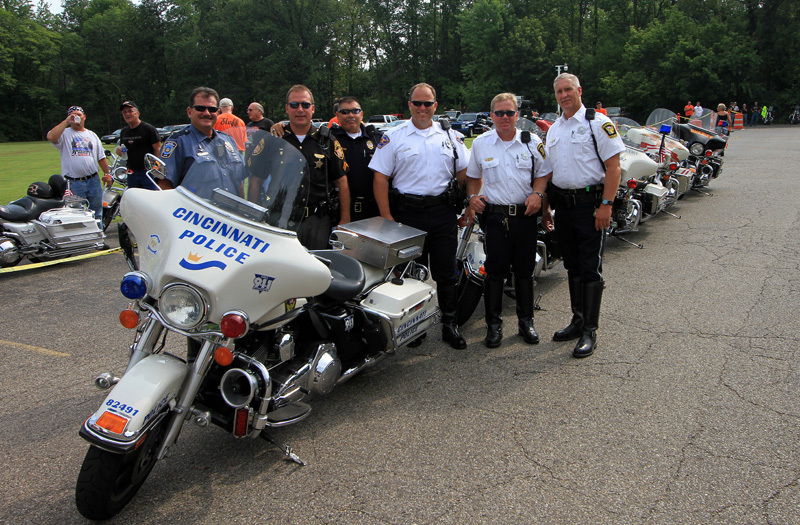 program, the Sharonville Police Community Service Fund, and the Colerain Township, Mt. Healthy, North College Hill, Wyoming Police Departments. Ohio C.O.P.S. – Concerns of Police Survivors supporting the families of fallen officers, the Ohio Special Olympics, the Drew Campbell Memorial Fund, The Neediest Kids of All, Make a Wish, Boys Hope Girls Hope of Cincinnati, Honor Flight Tri-State, the Michael W. Bany Scholarship fund and U.S. Military Units serving in Iraq. Event: Goodtimers 17th Annual Freedom Fest – ‘A Call to Unity’. Motorcycle Ride and Music Festival . When: Sunday August 20, 2017. Registration begins at 9:00, ride leaves at 11:00, and Party starts at 2:00. Show up early, for breakfast sandwiches & coffee, by Fristoe Catering and meet the folks from 92.5 The Fox. 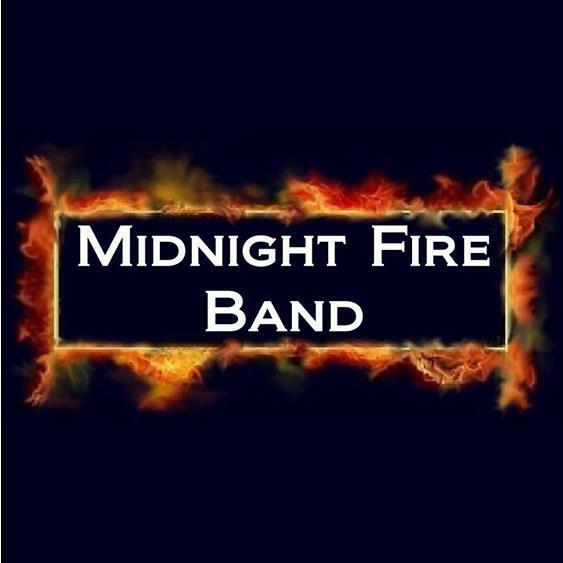 Great music with 92.5 The Fox providing music outside; followed by our party with the Midnight Fire Band when the ride returns. 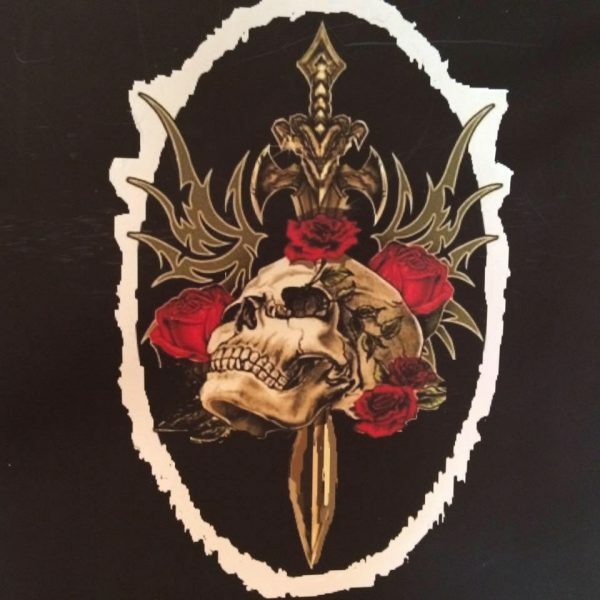 Where: Gailey VFW Post – 8326 Brownsway Lane – Off Galbraith Rd. in Groesbeck. How: Price to ride is $20 for rider, $5 for passenger. Party only $5, walk-ins welcome. Who: Presented by the Goodtimers, benefiting the Goodtimers Foundation, local charities, and local law enforcement programs. The Goodtimers Foundation is an ‘All Volunteer’ Non-profit, 501 (c) (3). Why: Recognition of our Local Police, Fire & Rescue and our local men and women serving in the Military. Corporate Sponsorships Welcome: Form can be downloaded and printed HERE.